Below you can view all the highrises for sale in the Platinum Resort Condo subdivision located in Las Vegas Nevada. 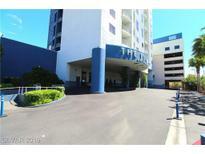 Listings in Platinum Resort Condo are updated daily from data we receive from the Las Vegas multiple listing service. To learn more about any of these highrises or to receive custom notifications when a new property is listed for sale in Platinum Resort Condo, give us a call at 702-803-3032. Building amenities include concierge, valet, pool, spa, business center, exercise room and it's just moments away from the Las Vegas Strip. MLS#2089562. Rossum Realty Unlimited. Inside the tower there is a pool, exercise room, restaurant, bar, elevators, valet parking. Owner occupant or rental ok MLS#2087999. Nationwide Realty LLC. Inside the tower there is a pool, exercise room, restaurant, bar, elevators, valet parking. Owner occupant or rental ok MLS#2088003. Nationwide Realty LLC. Oversized L-shaped balcony, private master suite with sitting area, walk in closet and private entrance to balcony! MLS#2073471. eXp Realty. Walking distance to Las Vegas Strip. MLS#2071605. Platinum R.E. Professionals. 2 plasma TV's, indoor/outdoor pools & tons of 1st class amenities. MLS#2057737. Elite Realty. Low Down Payment & Finance The Rest MLS#2032732. Turn Key Property Solutions. 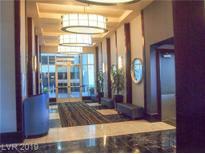 Great unit, 1 bedroom Condo Hotel, fully furnished and currently in the Platinum Rental Program. Investors Welcome!!!!! ! MLS#2007575. World Capital Realty. The community features include indoor/outdoor pool, Lobby bar, valet. MLS#1977252. Keller Williams VIP. Bathroom w/ double vanities & Jetted Tub. Plasma TVs, Indoor & Outdoor Pool. MLS#1962921. eXp Realty. Walking distance to Las Vegas Strip! Platinum Nightly Rental Program Available! MLS#1960551. eXp Realty.